The UK is turning into a nation of road warriors, with more that half of us using a mobile phone, laptop or tablet to access the internet. The ONS (Office for National Statistics) said today 45% of UK internet users accessed the internet via a mobile phone in 2011. The ONS opinions survey showed that 71% of 16-24 year old internet users accessed the internet via a mobile, the highest of any age group, up from 44% in 2010. Almost four in 10 (38%) of all adults accessed the internet via another sort of mobile device, such as a laptop or tablet. In 2011, 4.9 million, or 13% of internet users, connected via public wireless hotspots, almost double from 7% last year. Least likely to access the internet by a mobile device (8%) were aged 65+. Social networking is becoming more popular. Overall, 57% of adult internet users (up from 43%) and 91% of 16-24 year-olds used online social networks in 2011. ONS said 77% households now have access to the internet, up from 73% last year. About 93% have either an ADSL or cable broadband connection. Half of those without a household internet connection said they ‘don’t need the internet’, ONS said. The ONS’s labour force survey showed separately that in 2Q2011, 8.73 million UK adults had never used the internet. This was 12,000 fewer than in 1Q2011. The least likely to go online were over 75s (76.3%). Over one-third of disabled people (36.8%) also say they have never been online, the ONS said. Vodafone’s shareolders will be buoyed by the announcement that Verizon Wireless, the US mobile network operator in which Vodafone has a 45% stake, will at last pay a dividend of $10bn. This will enable Vodafone to pay a 4.0p special dividend, with the £800m balance going to pay down debt. The Verizon dividend, announced last night, will be paid on 31 January 2012. It is the first money Vodafone has seen from its investment since 2005, since when Verizon concentrated on paying down debt. The timing of the Vodafone distribution will be announced on 8 November 2011. Vodafone’s share price on Thursday closed at 165.40p, up from its opening at 163.20, up almost 11% on a year ago when the company started selling off firms in which it did not own a controlling stake. Verizon’s dividend suggests Vodafone may hang on to the American carrier for a while yet. Vodafone CEO Vittorio Colao said, “Our long term partnership in Verizon’s strong and successful wireless business has seen the value of our investment increase significantly over recent years. The government should use the money from the upcoming 4G spectrum to extend mobile coverage in the UK, Ofcom’s Communications Consumer Panel says. The panel said the market has already delivered maximum economic coverage for 2G voice services. 3G and new 4G services were unlikely to extend existing coverage, and it doubted that consumer and small business needs would be met. This was “creating significant problems” for small businesses, as well as the three million people living in not-spots, the people passing through them and passengers on the rail and London tube networks, it said. The panel wants Ofcom to consider imposing coverage obligations on the auction winners for each of the UK nations and some English regions, or to retain money from the spectrum auction to fund a reverse auction run to upgrade rural coverage. “Operators that successfully bid for this should be required to provide roaming for these areas,” the panel said in a statement. The present auction foresees mobile coverage of 92% of the population. Cumbria and Border MP Rory Stewart persuaded parliament to vote unanimously to extend 800MHz mobile coverage to 95%. He estimated the cost of the 1500 extra towers was only some £215m. This was tiny relative to the improvement in the quality of life and potential economic impact on people who were now excluded, and a fractin of the £3bn Ofcom hoped to raise form the auction, he told parliament. Mobile data revenues surged almost 25% to form just under 14% of Vodafone’s total sales for the quarter to June, the mobile network operator reported this morning. Excluding the effects of regulatory cuts in the price of mobile termination rates (MTR), business in northern Europe grew strongly in Germany (4.0%) and UK (5.3%), but southern Europe, Italy (-1.5%) and Spain (-9.9%) continued to reflect the wider economic problems facing the countries. Business in Asia, Middle East and Pacific regions continued to grow strongly, particularly India (16.8%) and South Africa (7.8%). CEO Vittorio Colao said the company had made a good start to the year. “Revenue from our key focus areas of data, enterprise and emerging markets continues to grow strongly,” he said. He confirmed dividend guidance for the year ahead. Vodafone’s currently pays 6.3% on a share price which 12% up on a year ago at 164p. Scandinavian telco TeliaSonera has joined the M2M (machine to machine) roaming agreement set up by France Telecom-Orange and Deutsche Telekom in February, allowing enabled machines to talk to each other throughout northern Europe. The coverage footprint now includes France, Germany, Belgium, Luxembourg, the Netherlands, UK (via Everything Everywhere), Sweden, Norway, Finland, Denmark, Estonia and Lithuania. The deal will ensure continuous cross-border availability of M2M communications for monitoring operating conditions, such as in the logistics, transportation and automotive industries, as well smart utility grids, eHealth, the Connected Home and the Connected Car, Orange said in a statement. Is UK online surveillance out of control? The publication of two contrasting reports into separate legislation raises serious questions over the extent to which police surveillance activity is out of control, which allegations of police complicity in the News of the World phone hacking scandal only worsen. UK law enforcement agencies made more than 1500 requests a day for communications data, mostly to know who owns a mobile phone, the interception of communications commissioner reveals in his latest annual report. A separate investigation by a Big Brother Watch, a civil liberties group, has found that in the past three years, more than 900 police officers and staff were disciplined for breaches of the Data Protection Act (DPA). Police and other security agencies put in 552,550 requests under the Regulation of Investigatory Powers Act (RIPA) 2000 during 2010. Of these, 65% were to find out who owned a mobile phone. This was up about 5% on 2009, Sir Paul Kennedy, the commissioner, said. He could not say why exactly the trend was rising, but suggested police were more aware of the investigatory communications tools and their usefulness. 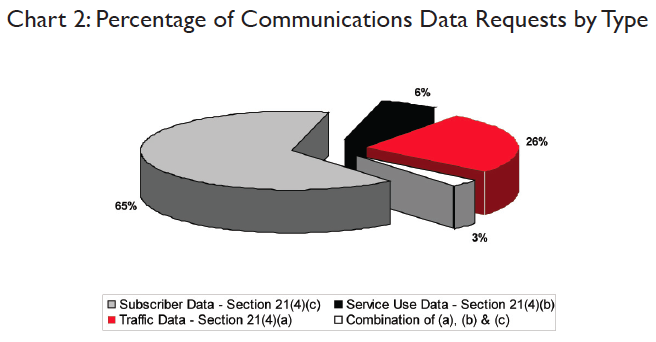 Some 26% of enquiries related to subscribers’ use of communications services, he said. Kennedy reported a drop from 661 to 640 in the number of errors recorded. Errors were mostly due to the transposition of numbers or dates in watch requests, he said. Kennedy said 90% of the 40 police forces his office inspected has a good or satisfactory record of compliance with Ripa. He said random checks of CSP (communications service provider) disclosures found all had followed the correct process. “It is most reassuring that so far (his audit) has not exposed any instances of abuse or unlawful acquisition of communications data,” he said. 904 police officers and staff were subjected to internal disciplinary procedures for breaching the DPA.